The initial public offering (IPO) of Embassy Office Parks Real Estate Investment Trust (Embassy REIT) was subscribed 2.5 times, with the share sale generating a demand of over Rs 5,300 crore. The institutional investor portion of the IPO was subscribed over two times while the non-institutional part saw nearly three times demand compared to the shares on offer. Earlier, the REIT had mopped up Rs 1,743 crore from anchor investors. Following the success of the IPO, Blackstone-backed Embassy REIT will be India’s first publicly-listed REIT. It will also open the doors for more real estate firms to raise capital through this route. Reit is an investment vehicle that owns rent-yielding real estate. The income generated is distributed to unit holders. Through the offering, Embassy REIT raised a total of Rs 4,750 crore. About Rs 3,700 crore of this will be used for debt repayment; about Rs 460 crore for assets acquisition and the remaining Rs 580 crore for general corporate purposes. The IPO will lead to dilution of 20.5 per cent of equity capital. At the issue price of Rs 300, Embassy REIT will be have a market capitalisation of Rs 23,170 crore. Analysts said the Reit offered pre-tax yield of 8.25 per cent based on the projected earnings for 2019-20. Embassy REIT’s portfolio comprises assets with 24.8 million square feet operational area. The assets have 95 per cent committed occupancy and seven-year weighted average lease expiry, say analysts. Certain analysts had recommended their clients to apply for the Embassy REIT IPO from a long-term perspective. “We recommend ‘subscribe’ based on a long-term horizon only to the issue considering the quality of assets, potential rental growth with mark-to-market opportunities in the existing portfolio and comfortable leverage position, indicating potential for growth in asset portfolio in the future,” ICICI Direct had said in a note. 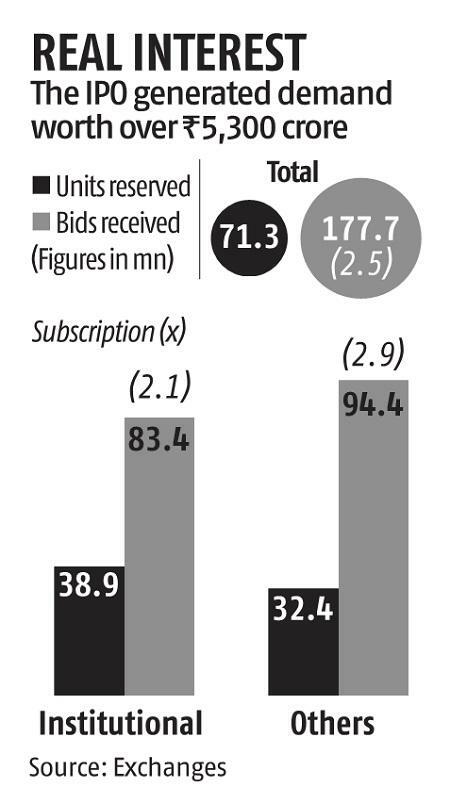 The lot size for applying for the IPO was 800 units, translating into a minimum subscription amount of Rs 240,000. The number of applications received in the IPO was about 8,000. 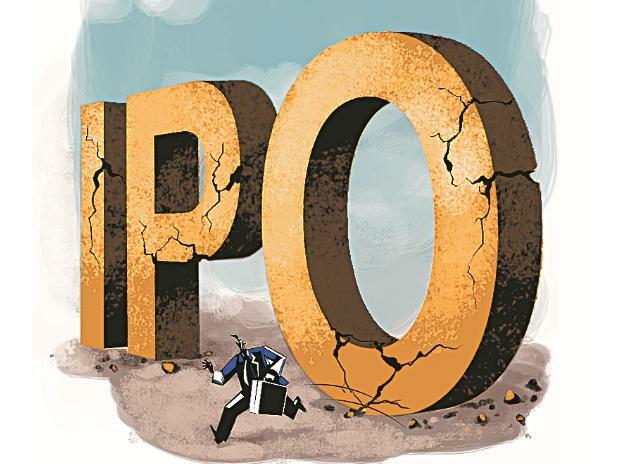 Most retail investors stayed away from the IPO due to high investment threshold, said investment bankers. Embassy REIT IPO was managed by 12 investment banks, which included Morgan Stanley, Kotak Mahindra Capital, JP Morgan, DSP Merrill Lynch and Axis Capital. Experts said REIT can be a good investment option for investors as it offers steady dividend as well as capital appreciation. However, this hinges on market conditions. Slowdown in the real estate sector and delay or cost overruns in under construction projects could impact returns, said analysts.